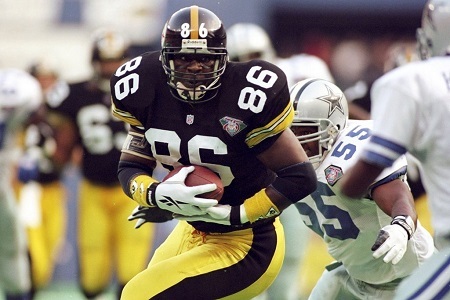 Do Eric Green's NFL Stats Suggest He was the Right Tight End in the Wrong Era? This entry was posted in Steelers History and tagged 1990 NFL Draft, Bennie Cunningham, Bubby Brister, Chuck Noll, Eric Green, Joe Walton, Mike Mularkey, Pittsburgh Steelers, Rod Woodson, Tim Worley. Bookmark the permalink.